Separatist forces lead by the Moscow controlled ChDKZ have pushed the CDF forces out of most of South Zagoria. Reports of ethnic cleansing in ChDKZ controlled areas and the ban of UN aid in the region have raised concern about the aim of the separatists. 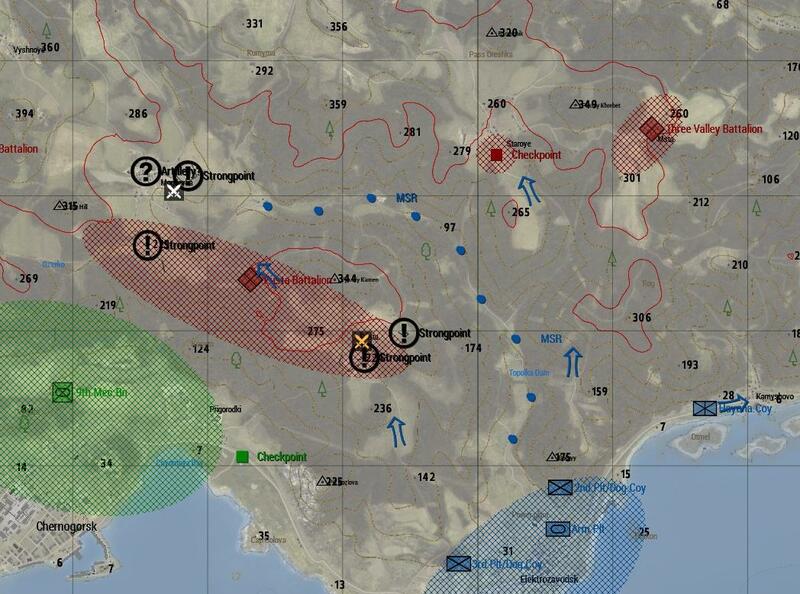 In a surprising move US forces from the 27th MEU have captured a beachhead at the town of Elektrozavodsk on the South Zagorian coast and in the way dealt a major blow to the ChDKZ forces in the area. 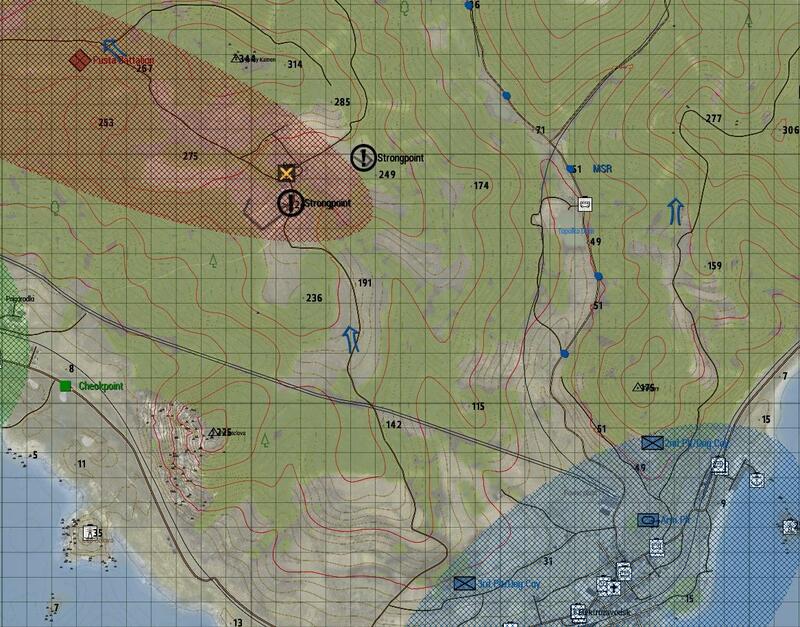 The MEU is tasked with expanding the beachhead and push further inland. Alpha Coy have been tasked with pushing north towards the villages of Pusta and Mogilevka were ChDKZ forces are expected to hold defensive positions. The company is tasked with clearing the main road and if possible capturing the villages on both sides of the MSR. 3rd Platoon will take the western side, 2nd platoon will take the eastern side.The MSR is the dividing line and should not be crossed with out clearance from at least Dog Actual. Specila caution should be taken to not engage CDF forces that might be pushing north from the Chernogorsk area. 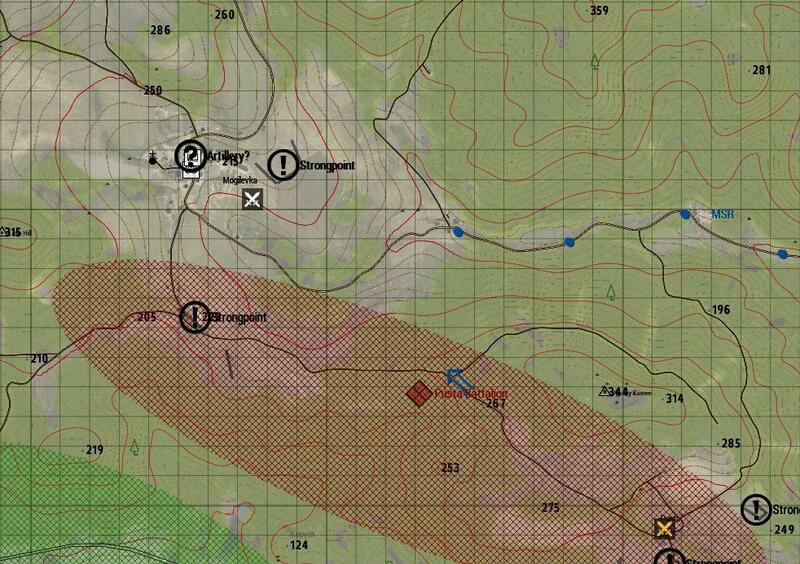 3rd Platoon, Dog Coy will be moving ahead of the main force and scout the route up to Pusta village. If opposition is light the platoon is to capture the village and open the left flank of the MSR going north from Elektrozavodsk. If the platoon is able to capture Pusta the task is to push forward and recce Mogilevka and if possible capture that village. The platoon have artillery support from 1x M119 Howitzer and the Viper Gunship call sign Ghost. 1x Medical HMMWV is assigned to the platoon.